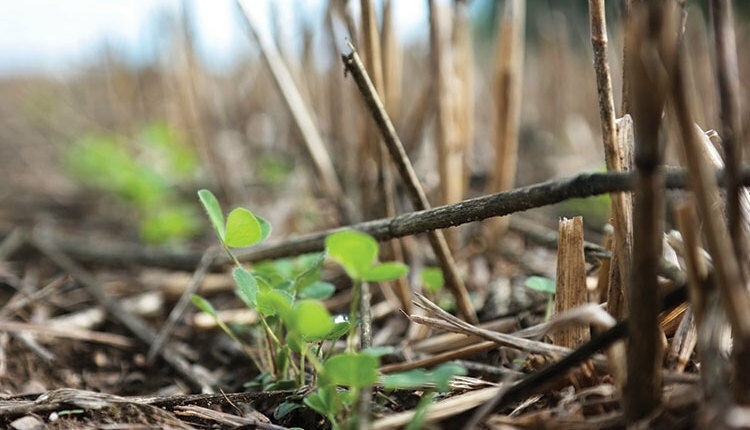 Soil fertility is an important factor in improving alfalfa’s ability to survive through a cold, harsh winter. This includes potassium and phosphorus supplementation. t’s still summer, but winter is fast approaching. Those four months of cold, hard soil and snow challenge the strength and resilience of alfalfa stands. Alfalfa plants, like the majestic trees dotting the landscape, go through a special winter survival dance of building up energy reserves and then shutting down while waiting for the warm winds of spring. What does it take for alfalfa plants to survive winter’s harshness and to wake up ready to produce a great crop next spring? First and foremost, preparing for adverse Northern winters starts with selecting genetics for cold tolerance and winter survival. Dormancy, cold hardiness, and winter survival are closely related in alfalfa. Alfalfa plants are most cold hardy when they achieve deep dormancy. Dormancy is a period of time when aboveground growth essentially stops. This is primarily triggered by chilling fall temperatures, but it is also influenced by shorter day lengths. Roots and crowns remain in a resting state, growing only when soil is warmed in the root zone. Beginning in late summer, physiological changes begin to occur in alfalfa plants where sugar and carbohydrate accumulation is diverted away from stem and leaf growth and toward the root and crown structures of the plant. Sugars act as an “antifreeze” to prevent cell damage during the extreme cold temperatures of winter. Carbohydrates are stored in the roots and crown to provide energy for stem growth during the spring months. In the past two decades, plant breeders have developed alfalfa varieties that are less fall dormant, but still very winterhardy. 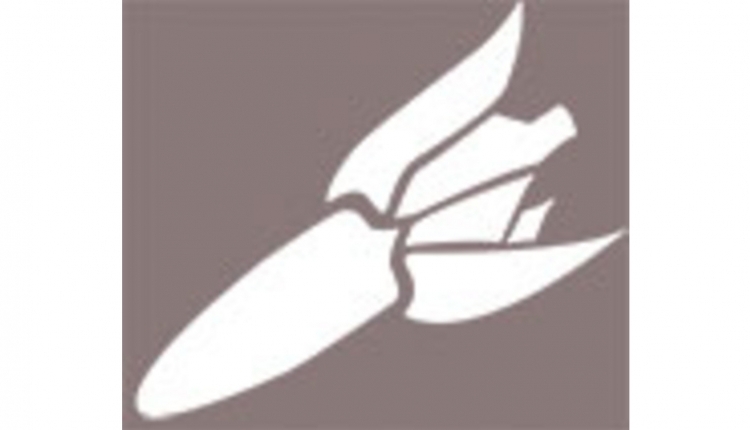 Growers in Northern climates can take advantage of this genetic success by planting varieties with fall dormancy ratings of four or five to achieve high yields while retaining very good winterhardiness. 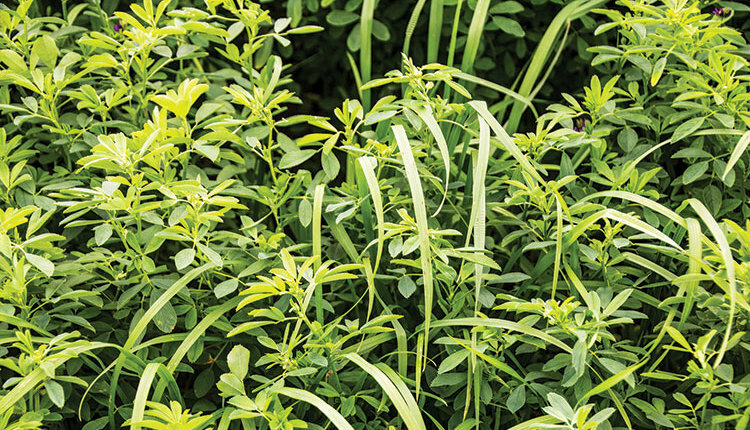 In addition to variety selection for winterhardiness and disease resistance, alfalfa growers can implement several management strategies to help alfalfa plants survive winter. A key focus area is soil fertility and timing of fertilizer applications. A base assumption in any alfalfa soil fertility discussion is that soil pH is in an ideal range (pH 6.5 to 6.8 or greater) and not limiting alfalfa growth and development. Alfalfa plants fix their own nitrogen but require potassium (K) and phosphorus (P) supplementation to maximize plant growth and winter survival. 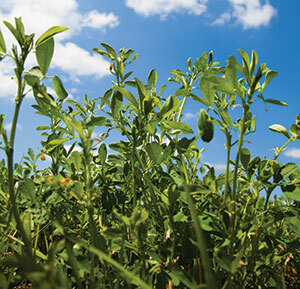 Potassium plays a role in storing carbohydrates and improves alfalfa persistence. Phosphorus helps alfalfa build strong root systems and promotes vigorous growth in the spring as alfalfa breaks dormancy. 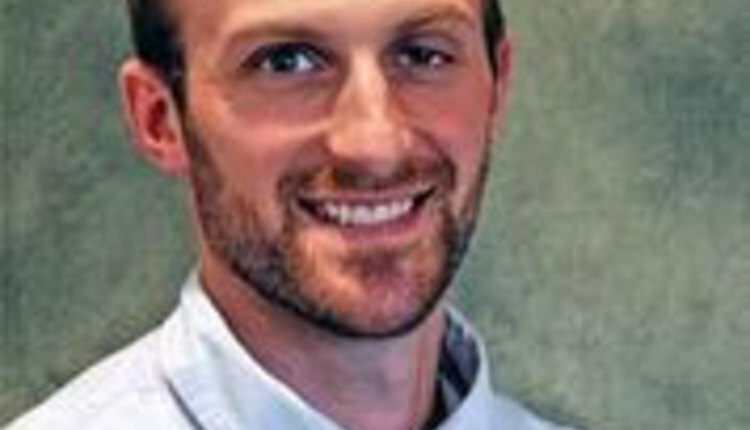 Purdue University researchers showed a correlation between poor alfalfa yield and persistence with low K levels in alfalfa leaves, stems, and roots. Because K fertility is so critical to winter survival, it is best to fertilize alfalfa fields in late summer (August to September, depending on your latitude) to ensure availability and uptake of K in plants as they begin storage of carbohydrates. Pay attention to K fertility as plant stands age since alfalfa removes high amounts of K, and older fields may not have sufficient soil K available for uptake by alfalfa roots. Harvest management and soil moisture in late summer can play a big role in helping alfalfa prepare for winter. Cutting alfalfa late in the year at a time when there is little opportunity for regrowth will alter the extent that plants can accumulate carbohydrates for winter survival. Likewise, adequate soil moisture is needed for photosynthesis to take place, the process which drives energy production in the plant. 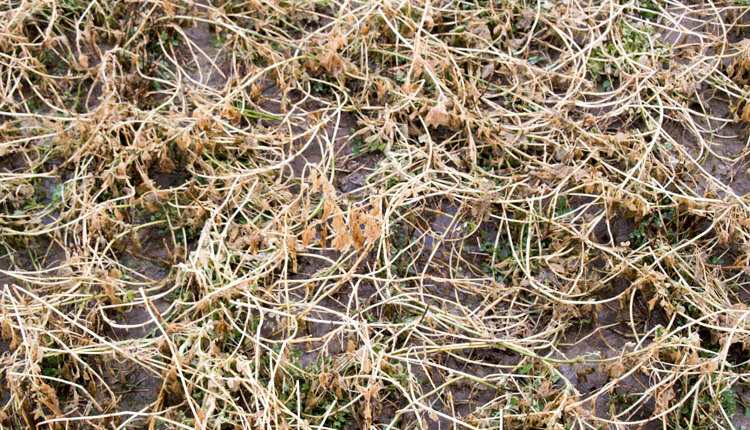 In Northern climates, growers have been advised for years against cutting alfalfa during September and early October, or until after a killing freeze event in Northern climates. This is based on research showing that winter injury is less likely when alfalfa can grow for five to six weeks after the last summer cutting. Is this still good advice? For the most part it is great advice. However, in recent years we have seen many alfalfa fields get harvested at a time when alfalfa plants did not have enough season left to build energy reserves for winter. Why are growers pushing the fall “no cut” window? 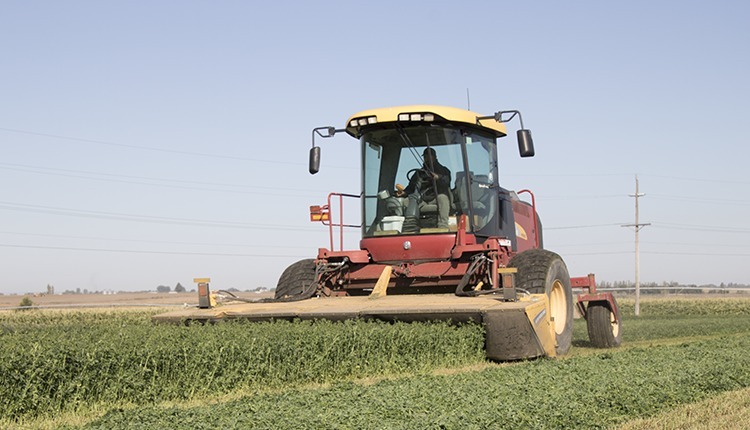 There are several reasons why an alfalfa grower decides to harvest during this time. 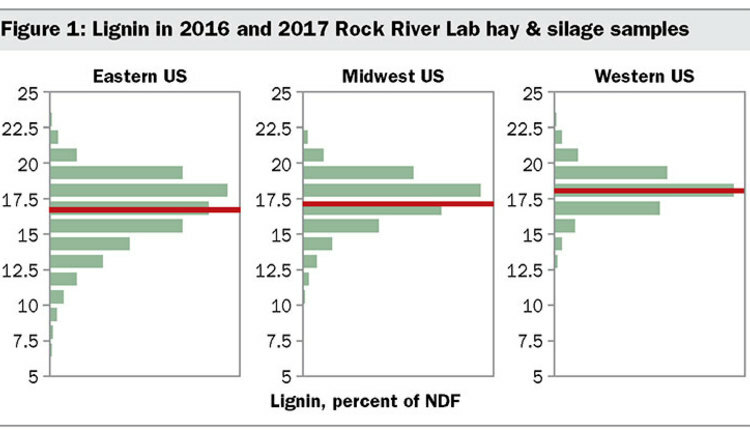 Some may need additional alfalfa forage due to low forage inventory. Others are planning to rotate out into another crop next year. Still others see a healthy, young stand with lots of fall growth and are willing to take a more calculated risk of low winter injury. 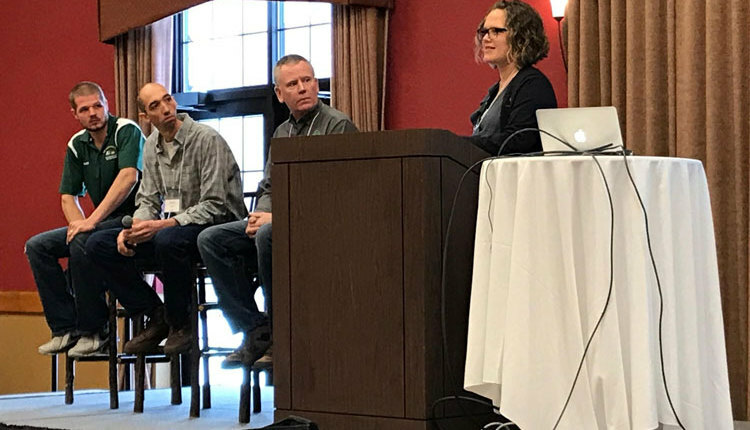 Like many things in life, the decision is not simple and the risk of winter injury depends on multiple factors including overall plant health, soil moisture conditions, prior cutting frequency, age of stand, and variety genetics for stress. 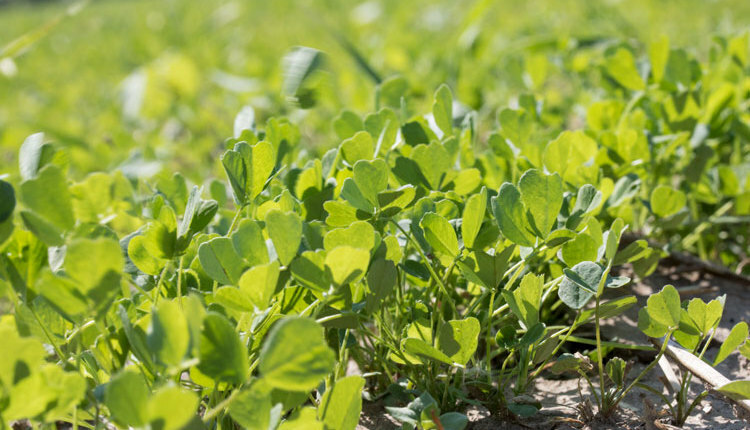 Thanks in part to elite alfalfa genetics, healthy and vigorous alfalfa stands — especially those under 3 years old — have a high potential to withstand the stress of an untimely fall harvest.